2013 AIX – The Stats Are In! This year’s Aircraft Interiors Expo, which played host to the world’s largest display of aircraft interiors products and services, welcomed 8906 (pre-audit) visitors through its doors between April 9-11. This was a 12% increase on the previous year. The exhibition featured over 500 exhibiting companies from 26 countries, covering a record floor space on 18,000 sq m – the largest footprint to date. 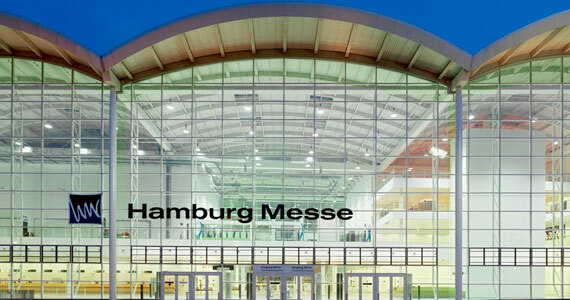 Organized by Reed Exhibitions and taking place in Hamburg, Germany, the exhibition attracted over 750 airline representatives that were ideally placed to witness the launch of many new innovations in the cabin interior sector. Inflight Entertainment and Connectivity hosted numerous product launches and upgrades, including, TriaGnoSys’ AeroConnex+ which offers greater data streaming capabilities, integrated gatelink to 3G and 4G mobile phone networks and WLAN access point. Another key feature is its weight at only 4kg, making it 20% lighter than its predecessor. 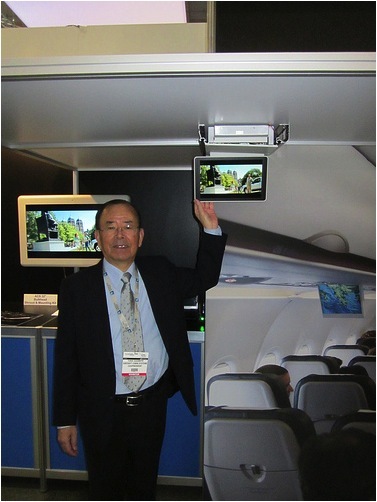 Panasonic Avionics used the exhibition to launch its new conceptual 14-inch monitor developed specifically with economy class in mind, while Lufthansa Systems unveiled its e-reader functionality for its BoardConnect Wireless IFE system. 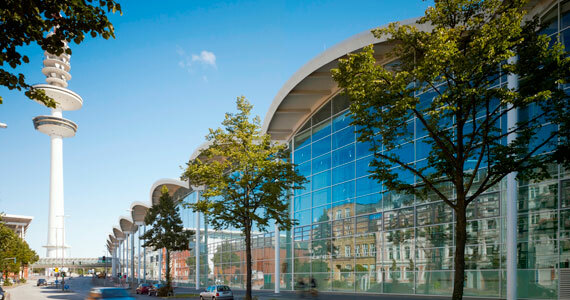 As noted last week, over 300 delegates attended the Passenger Experience Conference that took place on 8th April at the CCH – Congress Center Hamburg. The audience, which included senior representatives of major airlines, air framers and cabin interiors suppliers, heard Tom Costley, Director, Head of Travel & Tourism, TNS UK give some encouraging news for the industry, saying that despite what looked like being a prolonged period of depressed global economic conditions, the travel and tourism sector was proving more resilient than most. The older generation, having both the desire and money to see the world, was a major driver. 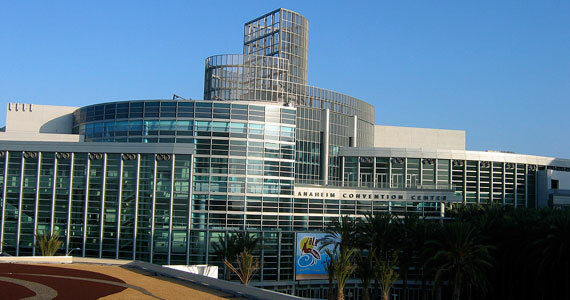 Don’t miss this one next year, and be sure to sneak over to the Food & Catering show – it rocks! To continue to fill in the product mix, this week we have a few more for you to check out while planning your new flying product. 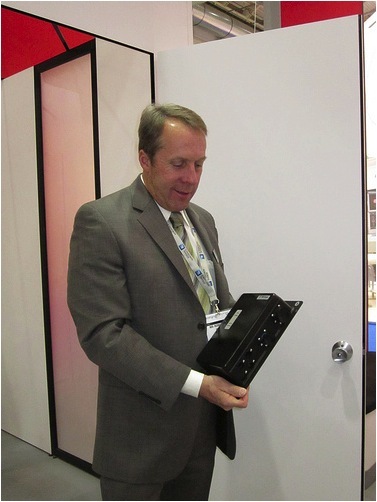 First, lets note the Cellular Terminal Wireless LAN Unit (cTWLU) from VT Miltope. The specs look impressive – Wireless gateway from an aircraft LAN to a ground based LAN: GSM/GPRS/EDGE, GSM HPSA+UMTS, LTE, IEEE 802.11 a/b/g and IEEE 802.11n (two points if you get the alphabet soup). This unit is a powerhouse! Contact Bob Guidetti for more information. 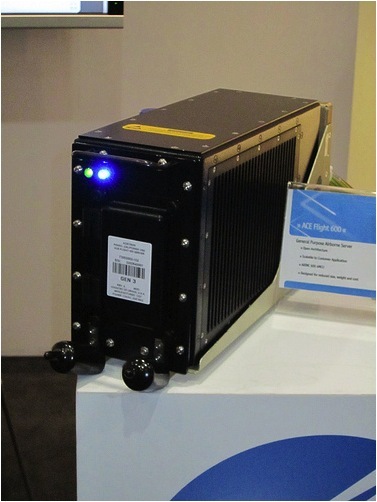 Kontron displayed their ACE Flight 600 (4MCU) General Purpose Airborne Server. Intel core i7 processor (Sandy Bridge) and 16 GB RAM – front removable SSD’s (nice touch) and an internal managed Ethernet switch. Input power is 115 VAC, 360 – 800 Hz, with 200 msec holdup. 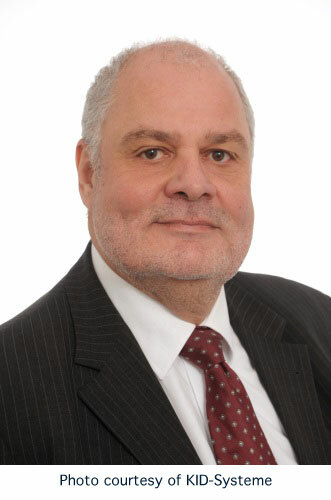 Contact Alan Manns, Business Development Manager. Yukio Sugimoto was there and quite proud of his new 12″ widescreen retractable overhead display. This is a great product from the master himself – you can get more information from ACS by contacting Yuko Sugimoto, President ACS. Check it out, Boeing and Airbus! 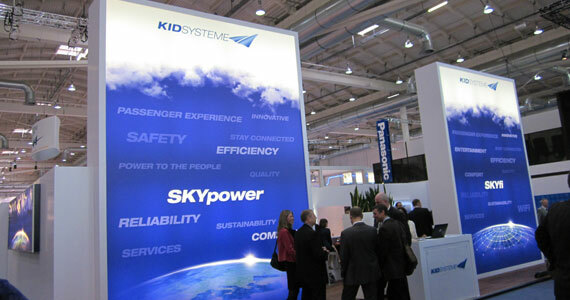 From the new product files, we really liked the SKYPower Combined from the KID Systeme folks. When airlines want to give it all to their upper class passengers, this is how you power them. 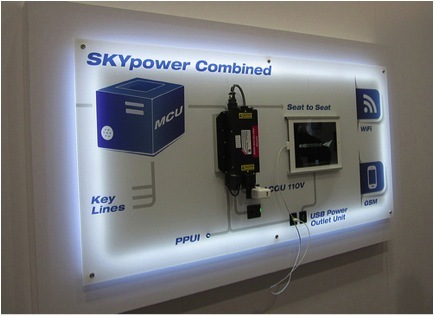 The combined system delivers 110 AC and 5 volt USB power from one MCU. If your passengers need 110 AC power for their GSM phones and 5 volts DC USB for their iPads, they will not suffer “connectivity withdrawal”! For more info contact Peter Schetschine. July 10, 2012– On the occasion of the annual Airbus Suppliers Awards ceremony held during the Farnborough Air Show 2012, Didier Lux, Airbus Executive Vice President Customer Services, presented awards to recognise Systems & Equipment suppliers to Airbus who have achieved outstanding levels of customer satisfaction. To determine the shortlist, the rating process included inputs from 124 participating Airbus operators – more than ever before. The awards are divided into two categories: ‘Gold’ and ‘Silver’. Gold Award: Airbus Kid Systeme / Airbus Cabin Systems; Airbus Avionics; Rockwell Collins Avionics; Thales Avionics; Technofan; and Diehl Aerospace received each a Gold Award for their consistent delivery of “Exceptional Customer Support Performance” and being in the top 10 for five years or more. Silver Award: EADS Sogerma (Technical Seats); Hamilton Sundstrand; Nord Micro; and Messier-Bugatti-Dowty (Landing Gears and Systems Integration Division) received each a Silver Award for their consistent delivery of “Excellent Customer Support Performance” and being in the top 10 ranking. Most Improved Supplier Award: Aircelle for their gain of 14 ranks and 4.32 points in the Rating this year. The major equipment suppliers to the Airbus family are rated on three criteria: the ability to provide continuously reliable equipment and systems including technical support; ensuring effective operational support services are aligned to Airbus support standards; benchmarking cost of ownership in terms of spares pricing and equipment direct maintenance cost. The next rating cycle will be launched during the final quarter of 2012. Airbus monitors suppliers ensuring they instigate dedicated actions and thus continuously improve their own performance, and benefiting the reliability of the Airbus fleet as a whole. 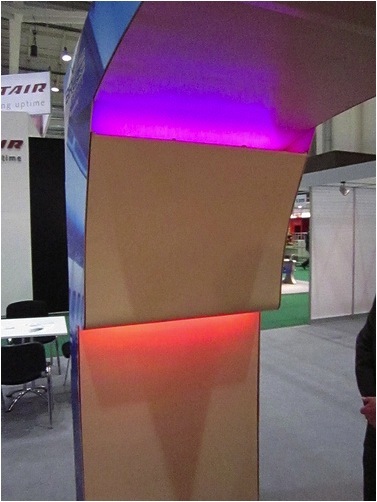 Note: Cabin Buyer Furnished Equipment (BFE) suppliers received their awards earlier this year at the Aircraft Interiors Expo in Hamburg, Germany. Engine manufacturers are not included in these awards as they are rated separately.